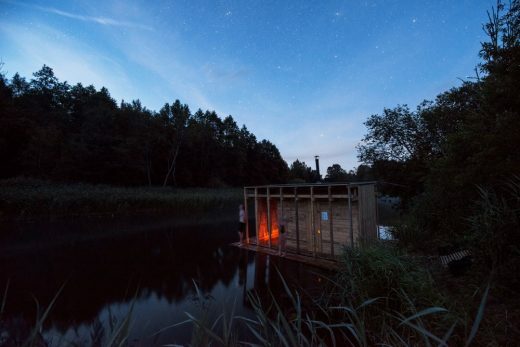 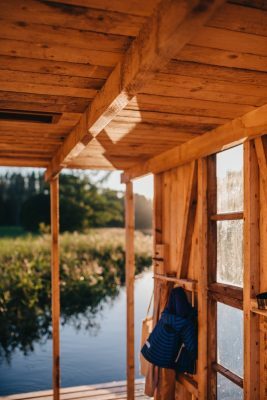 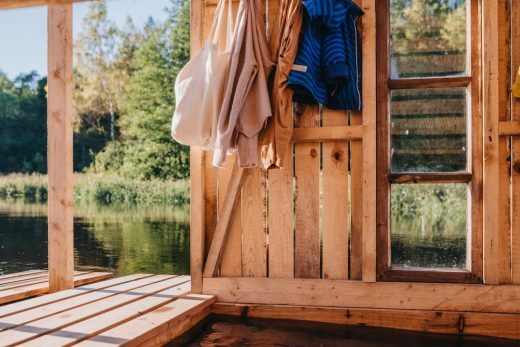 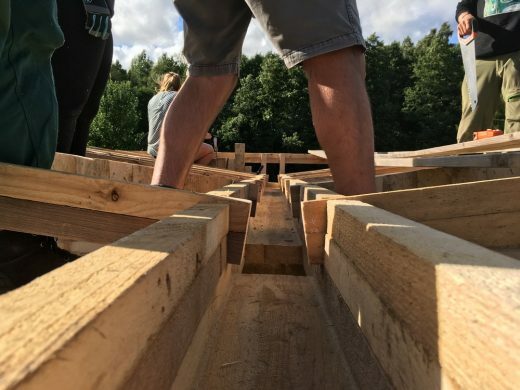 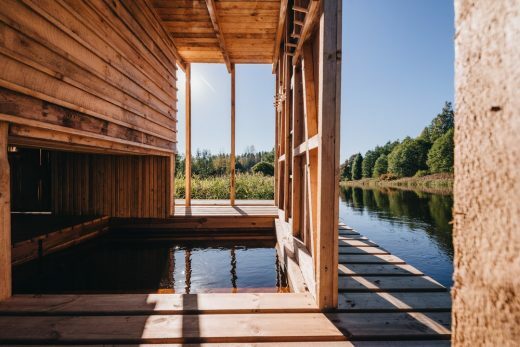 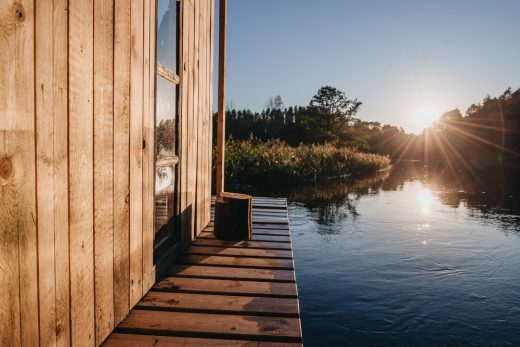 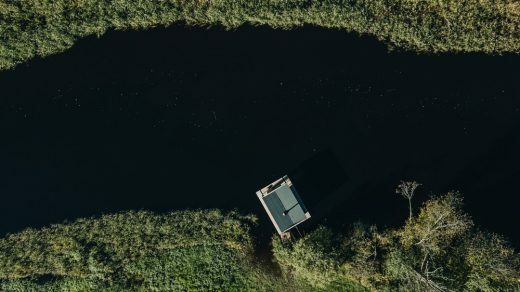 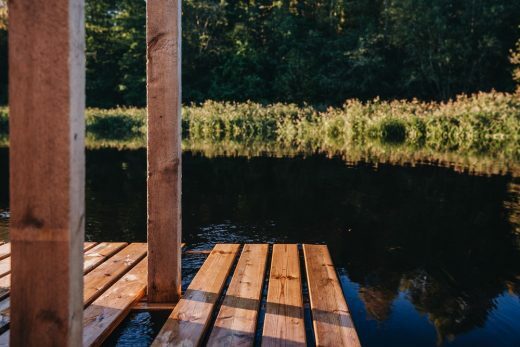 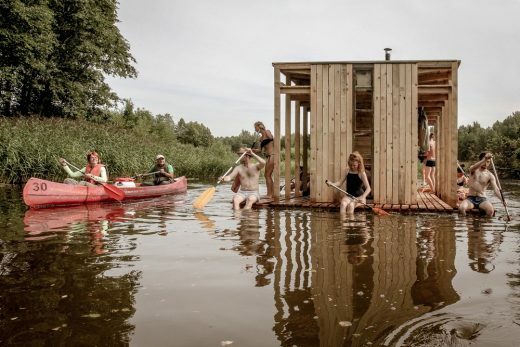 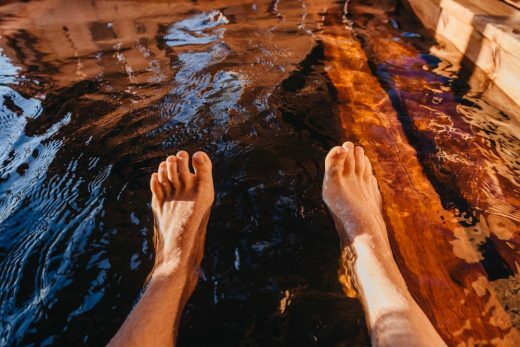 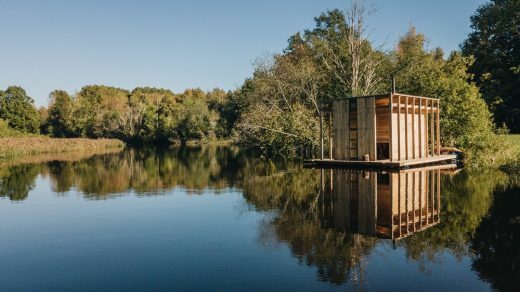 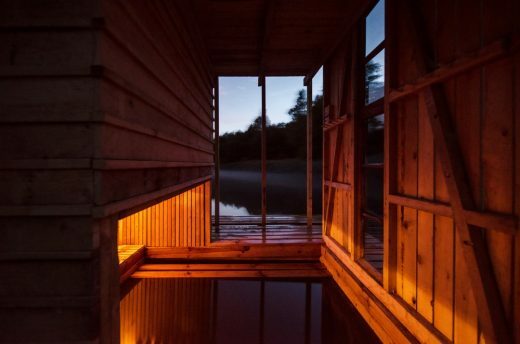 In the middle of one the largest national parks in Estonia, Soomaa (literally meaning ‘swamp land’ in Estonian) a new attraction awaits visitors – a floating wilderness sauna built by students during an international summer school. 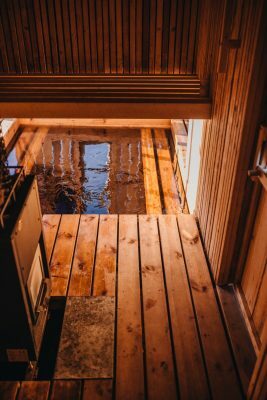 The sauna is called VALA (‘pour’ in English) and derives its name from the built-in shower facility that gathers rainwater falling on the roof. 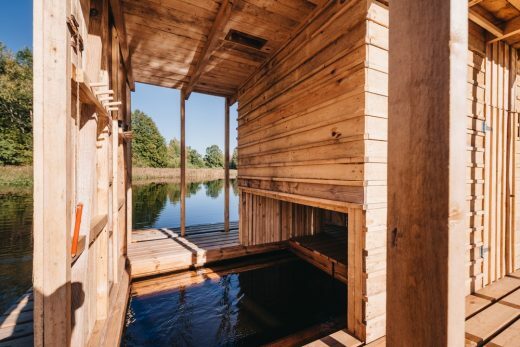 Tutored by architect and artist Sami Rintala (Finland), head of the Estonian Academy of Arts (EAA) Interior Architecture department Hannes Praks and Estonian architecture office b210, students built the sauna as a response to the changing and challenging environment of the area. 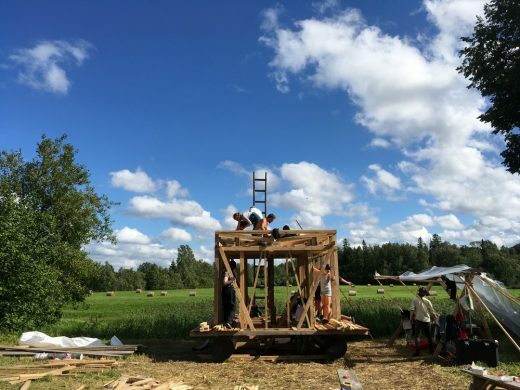 Praks also points out that today’s educational system doesn’t offer enough collective challenges when it comes to spatial design education, seeing this as something to be changed in the process of educating spatial designers. 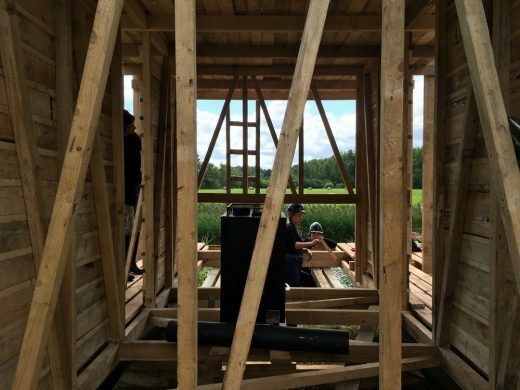 The EEA Interior Architecture department’s international Summer School returned in 2017 for a second instalment. 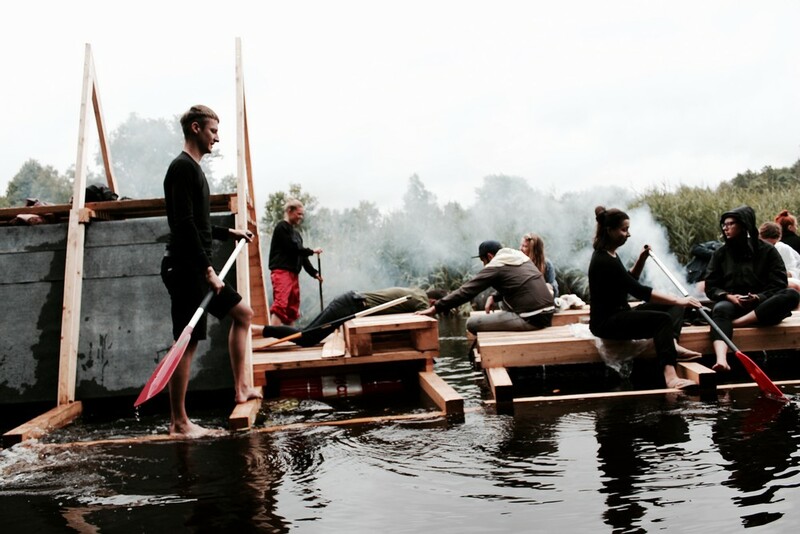 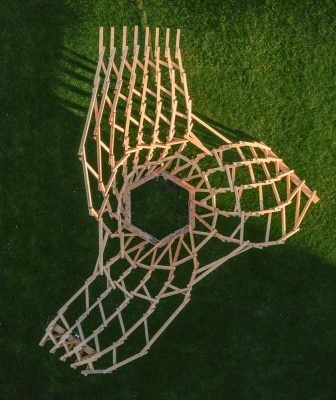 Last year, the Summer School team ended up building floating object Veetee, a project that consisted of three floating structures – a shelter, a fireplace and a also sauna. 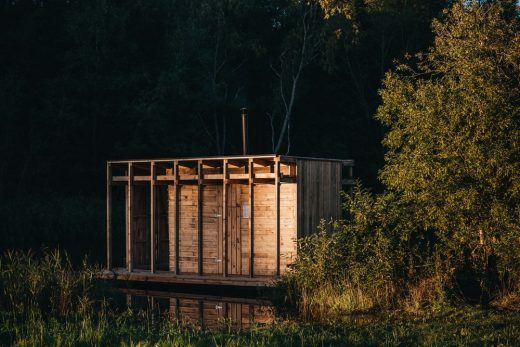 Last year only two of the three objects were opened to the public as part of local forest infrastructure however – the sauna did not persist the testing, and sunk to the watery depths. 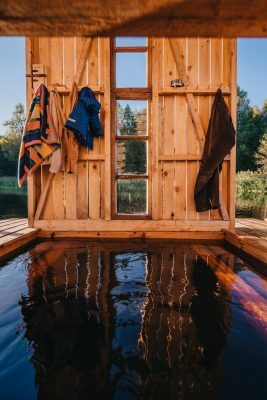 This year the students overcame the elements and now the floating wilderness sauna is enjoying its first visitors as of this autumn. The Summer School took the students to Soomaa, an area of large bogs and forests, where the tutors led the team to design and build from scratch an object that would derive from the special conditions that the Soomaa area faces: it floods extensively at least once a year, with vast areas of forest and meadows submerged, making floating architecture a fitting choice. 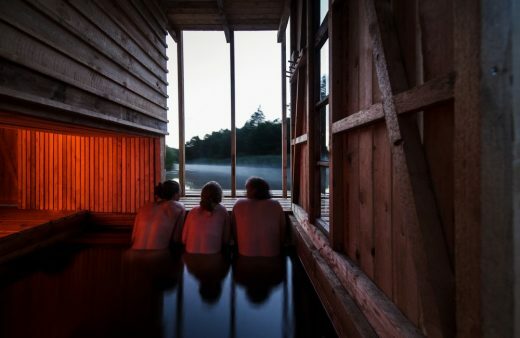 According to the tutors, building a sauna embraces both architecture, interior architecture, construction physics, various climatic and cultural aspects, thus providing a great opportunity to introduce to the international participants of the summer school an important typology in Nordic culture: one that has been present in the lives of Estonians throughout history, from birth to death. 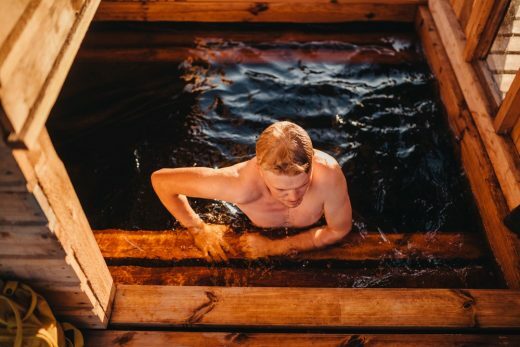 The sauna ritual is intertwined with water – in this case, taking people directly onto the Soomaa streams which at least once a year floods the roads, meadows and yards of Soomaa, creating an unusual, a new world. 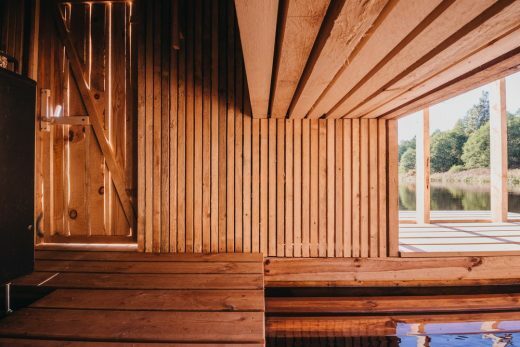 The sauna will remain open for free public use and the site is maintained by the Estonian Forest Management Centre. 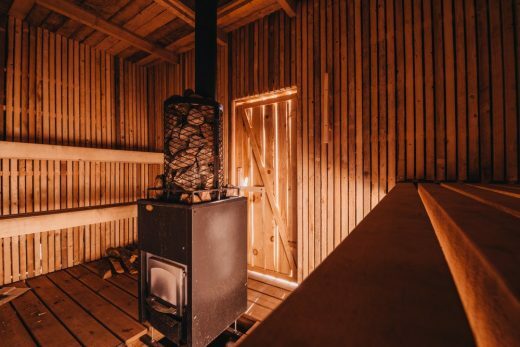 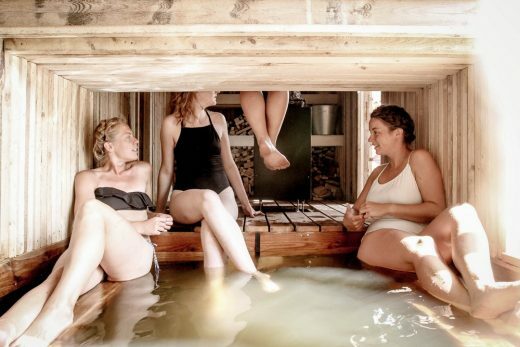 The sauna is intended both for local people as well as visitors to the area and visitors are kindly asked to heat the sauna carefully and sensibly, whilst being aware of the heater once it is hot. 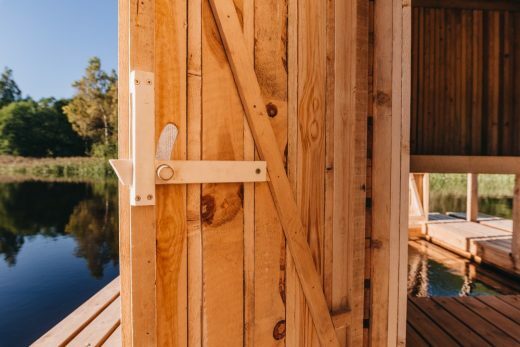 In addition to Veetee, VALA follows the EEAs Interior Architecture department’s various student projects, of which the most notable are the forest megaphones RUUP.